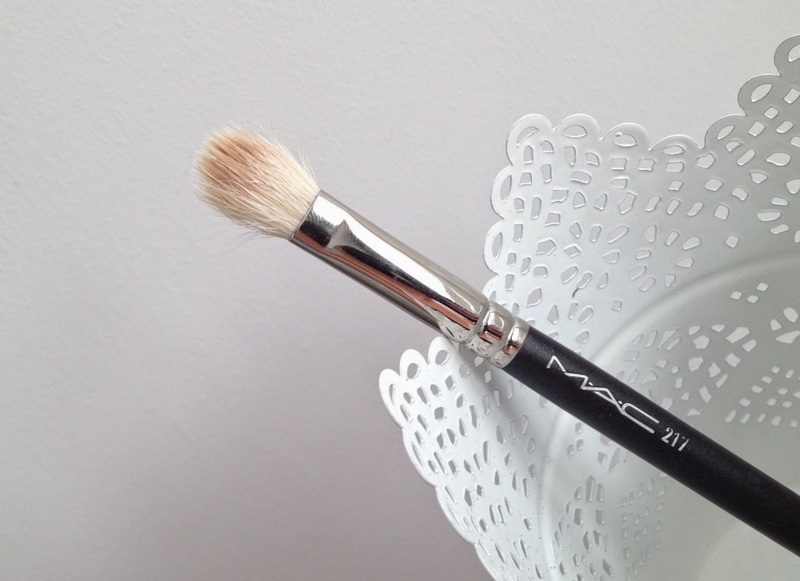 The MAC 217 Blending Brush has to be a make up kit staple for so many people. If you only own one decent brush then this really should be it! I think this must be one of MAC's most cult products and I know that some people actually own several of them. The MAC 217 Blending Brush can be used to apply or blend eyeshadow or cream eyeshadow. The fibres are densely packed and arranged in an oval shape. The brush has a long wooden handle, feels nice in your hand and is easily controllable. I use my 217 to blend colours together and smudge away harsh lines, it is great to create a smokey eye look or to blend darker colours into the crease or corner. Now this of course is why some people have a couple of these in their stash - I have made the mistake of quickly reaching for it and messing up my make up because it is full of darker shadow. So either give in and buy a couple or make sure you keep it clean. 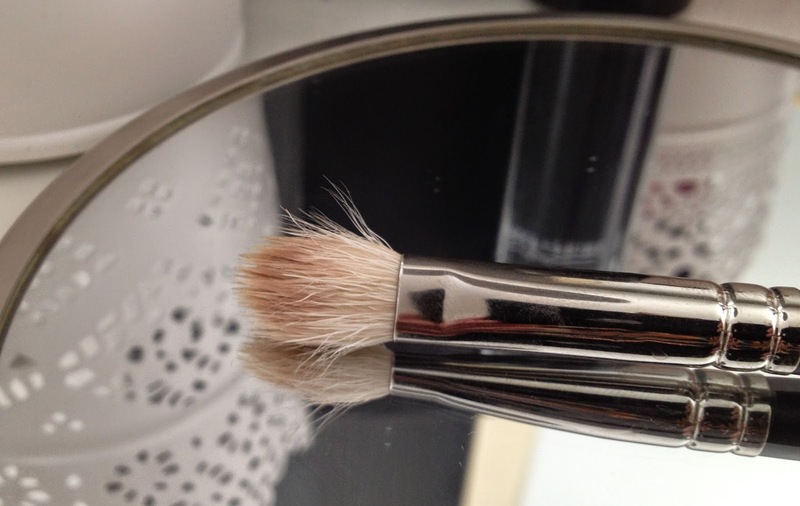 I use the MAC Brush Cleanser for mine which cleans it brilliantly and really quickly. Since I bought the 217 Blending Brush I have more confidence creating bolder eyeshadow looks. 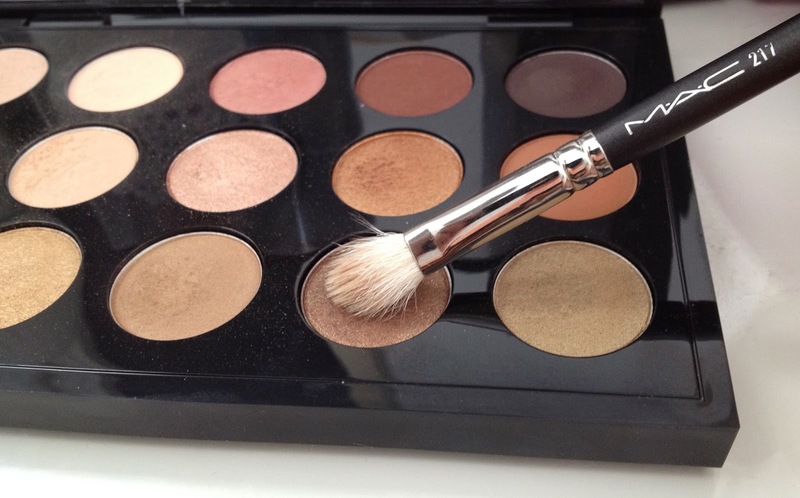 My friend recently bought a lovely Bobbi Brown shadow palette but wasn't sure how to create a good smokey eye - I immediately told her to get one of these brushes as it is the easiest way to avoid those messy looking edges to your eye colour. The best way to use the brush for blending is to use really small circles but with a light touch. Don't scrub away as if you are mixing paint as it won't work any better and you'll end up irritating your skin. MAC brushes aren't cheap, so it may not be something that you just pick up on a whim, so feel assured that this is worth the investment. I can absolutely recommend this brush to anyone who wears eyeshadow - good tools are as important as good quality shadows. Along with my MAC 210 Precise Eye Liner Brush (which I reviewed HERE) this is my favourite MAC brush. So invest in this brush or stick it on your birthday or Christmas list and you won't be sorry! The MAC 217 Blending Brush is £18 at Debenhams HERE (AND they currently have a 10% off Beauty promo so it is just £16.20 if you hurry). Do you have any favourite MAC brushes or know of any good dupes? Summer nails: OPI Where did Suzi's Man-Go?